Jaydeep Steels is a renowned manufacturer and supplier of Cupro Nickel Bars & Rods that are produced from the finest quality of raw material sourcing from trusted vendors. To ensure the strength of our products we add various other strengthening elements to the bars and rods. 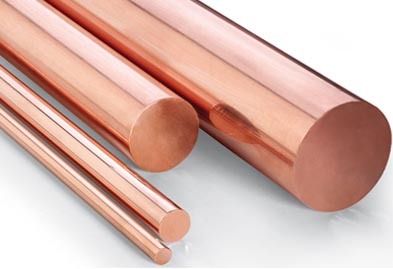 Copper Nickel Bar & Rods produced by us, find their extensive use in fields like marine engineering applications including shipbuilding, hulls of boats and ships, seawater system design like tubular heat exchangers and condensers, piping; making coins, making of single core thermocouples, etc. Cupro-Nickel Round Bars fabricated at Jaydeep Steel have advantaged like remarkable resistance to corrosion, especially to seawater corrosion, good fabricability, anti-microbial properties, durability, good electrical conductivity, and much more. These are specifically put to use in electrical applications where the working conditions include high temperature and pressure, high velocity, and destructive tolerances. We ensure that the Cupro-Nickel Forged Bars & Rods supplied to our customers are of finest quality. Hence, we use the best methods like roll forging or open-die forging for their manufacturing. We use precision thread rolling techniques for manufacturing Cupro-Nickel Threaded Bars & Rods that offer advantages like enhancement of physical characteristics and tensile strength, an increase of shear strength, resistance to fatigue, and much more. Cupro-Nickel Cold Rolled Bars & Rods are manufactured by a rolling process, where the bar or rod is passed through a series of roller pairs that reduce its thickness and increase the length. Cupro-Nickel Hot Rolled Bars & Rods are prepared to keep in mind the national and international standards. 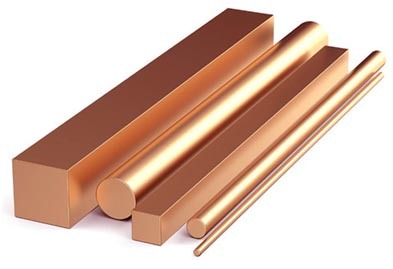 The Cupro-nickel bars and rods are available in forms like Polished, Bright, Cold Rolled, Annealed etc., and their available shapes are Round, Square, Rectangular, Hexagonal, etc. Contact us today to request a free quote or send an email with your complete requirements! Jaydeep Steels stocks a wide range of materials and grades. Below are a list of all standard cupro-nickel bars and rods materials and grades we stock. Our experienced team of metal experts will get you the metal you need when you need it. Call us today for your Cupro-Nickel Bars & Rods Needs!